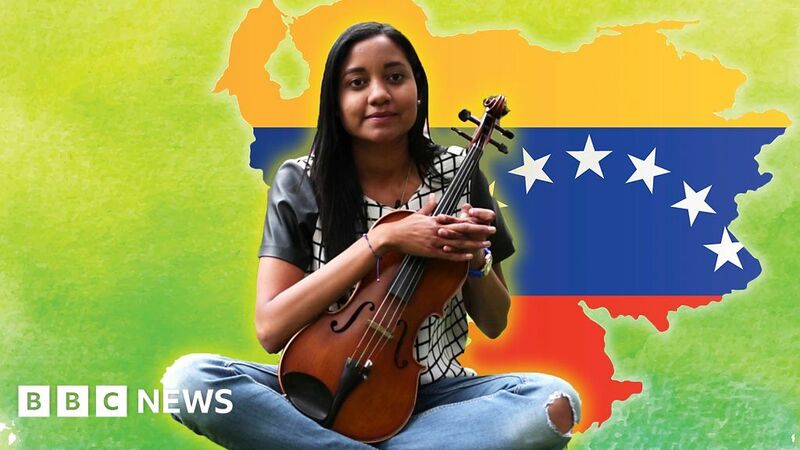 Rosana Garcia used to play violin for a philharmonic orchestra in Venezuela, but now she is busking on the streets of Bogota. She left Venezuela with some of the other musicians because of the worsening humanitarian and political crisis in the South American nation. Now in Colombia they have formed a group together and are busking in the capital Bogota. She told BBC Minute that she hopes one day to return and play in Venezuela.